I was delighted when I found out that the second volume is finally findable, and that I could read it. I just adored the first volume, and I wanted to see what recipes the sisters would make this time. Would they be a bit more affordable (as that was a bit of a problem last time)? Would these sisters get even closer together? The contrast between the two is one thing that I love about this manga. They both like different things, but also find common ground (like their love for each other, and of course cooking). Plus it makes it more interesting than if the characters were exactly the same. Sachi is still learning to cook and under the right instruction she can probably cook pretty well. She just shouldn’t try it out on her own. (How the hell was she even baking that egg? It looked more like she was preparing for the zombie apocalypse.) But if her younger sister helps out she gets quite far and even has the courage to make something of her own by mixing up the recipe. Ayari is still far superior in cooking, and it is quite interesting that there seems to be no limits to what she can make. I am quite curious if one day she will find a recipe she doesn’t know, or doesn’t have the right equipment for. I will look forward to that day. It would be even more fun if Sachi does know how to make it. In this volume we are going to make Takoyaki, pudding (with of course caramel sauce), bento, french fries (with herbs (of course freshly picked from the veranda)), roast beef, and cabbage rolls. My top 2 recipes would be the french fries and the pudding. Like with the previous book it is a pretty much step to step guide on how to make things, and at the end of the chapter there is a recipe (with even more information) on how to make the chapter’s recipe. The recipes this time were pretty affordable, and didn’t require magical equipment. I am really happy with this. The previous volume had a few things that, well… not everyone can buy, nor did everyone have the equipment for in their home. But in this one? Everything is what you can find in a standard well-stocked kitchen, and in case of the takoyaki maker, that one is easily found online to quickly buy (plus not that expensive, I have seen some cheaper ones that are cute and still pretty good). As I also said last time, but I need to mention it again, this manga does remind me a bit of Koufuku Graffiti, just a bit less exaggerated (thankfully). I am still loving the art to bits, it is such a fun style, and I adore how the food is drawn. I was practically drooling at some parts, and my stomach is still rumbling even though it has been 30 minutes since I read the manga. All in all, a manga that I will keep on reading, I do hope we will see the parents one day, I am still curious about them. Plus I am hoping that Sachi will tell her best friend a bit more and do a bit more activities with her (I did feel a bit sorry for her friend). 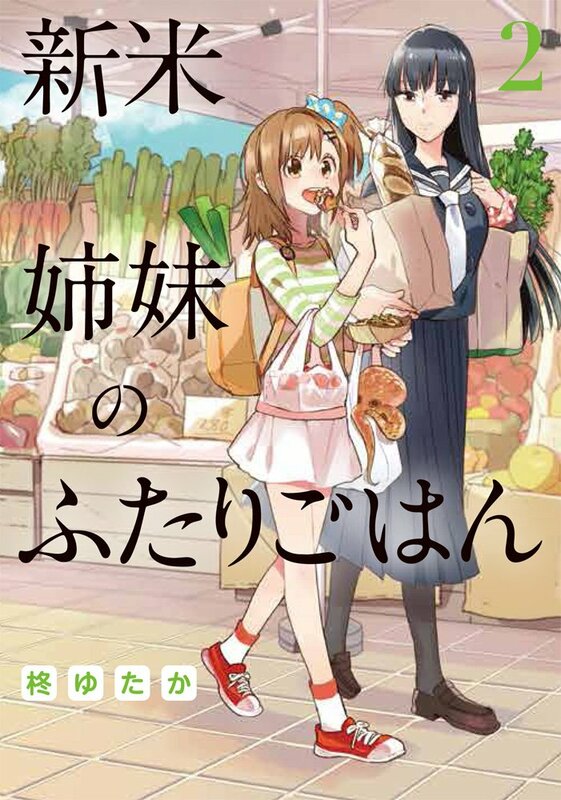 I would recommend this manga to everyone. Though be warned, your stomach may try to eat the manga/you.